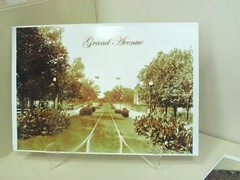 We know the street as Elvis Presley Avenue but prior to January 8, 2001 it was Grand Avenue. This photo (postcard?) is on display at the museum in the Shreveport Municipal Memorial Auditorium. 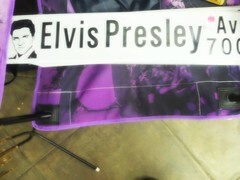 The Elvis street signs are for sale in the gift shop at the municipal at 705 Elvis Presley Avenue. Don't even get us started on the address listed on this website (turn down your volume before clicking).